Who Is Responsible for Property Damage Repairs After Car Accident? Who Pays My Property Damage? Who is Responsible for Property Damage Repairs After a Car Accident? Who is responsible to pay for your property damage repairs after a car accident in Maryland? The answer can be simple or it can be complicated, depending on how things break out. There is also a question of timing: who pays at first might not be who pays at the end of the day. Confused? It can get a little complicated. But we can explain how this works in Maryland in a way that will make sense to you, that will help you understand what will happen and what you have to do to get the situation resolved. How to bring a property damage claim without a lawyer. What is the settlement value of personal injury cases? Diminished value claims: how to fight this battle. The most important question is the most obvious: who caused the collision? If another driver caused the crash, that driver -- most likely through an insurance company -- is responsible for the damage. Often, it is just as simple as that. You get it an accident that was not your fault and the other driver's insurance company pays for your car repairs or pays you the Blue Book value of your vehicle if your car was totaled. Sometimes, the other driver is at fault for the accident but the driver's insurance company will not accept responsibility for the loss. There are two reasons why this might happen. First, the insurance company might deny the claim because it thinks (1) it can win at trial, or (2) the victim will just go away and not force the issue and make a claim. The second reason is that the insurance company cannot get in contact with its insured. In this case, the insurance company is going to do what insurance companies do best: stall. If the other driver's insurance carrier refuses to pay for your property damage claim, you then turn back to your own car insurance company. This makes our clients furious with good reason. But it is not as bad as it seems. In most cases, your justice is just delayed for a short time. Temporarily, your own car insurance company -- assuming you have the coverage -- will pay for your property damage claim (if you do have coverage, see below). But your insurance company will not take footing the bill lightly. They will bring a claim against the other insurance company through a mechanism called the Nationwide Inter-Company Arbitration, which is where insurance companies battle each other behind closed doors to resolve these kinds of disputes. But if the other driver is clearly at fault, it rarely gets this far. Normally, the claim itself will force the at-fault driver's carrier to get realistic about the case and they will pay up. What If The At-Fault Driver Does Not Have Car Insurance? Maryland car insurance law requires that all motorists - at least those that have their vehicles registered in Maryland -- maintain car insurance of $30,000 for bodily injury per person, $60,000 for bodily injury for all injuries in the crash and $15,000 for property damage. Two problems can arise for our clients that often need to be tackled. First, the at-fault driver may not have insurance. Second, the at-fault driver might not have enough insurance. The former is an uninsured motorist claim; the latter is an underinsured claim. In both of these scenarios, you go back to your own insurance company to cover the gap between what you are owed and how much you were paid. If you have a vehicle registered and insured in Maryland, you have at least the minimum uninsured coverage listed in the first paragraph of this section above. Of course, you technically have a claim against the responsible party directly. But uninsured motorist coverage lets you end run that horrific and laborious process by pushing it off on your insurance company (who will often go after the at-fault driver for the money they pay you). What If I Did Not Have Any Car Insurance? Certainly, you need to hear the speech they tell you, that you need to get car insurance. Because you do. But this does not limit in any way your ability to make a property damage or a personal injury claim, albeit with the backstop of your own insurance company if there is a problem with the responsible driver's insurance company. The same holds true if the other driver does not have insurance and you do not have collision insurance. Certainly, you have a viable claim against the negligent driver. The problems here are practical. You have to get through the logistics of filing suit -- finding a lawyer will be very tough -- and collecting on a judgment should you get a verdict. What If No One Had Car Insurance? Conceptually, nothing changes if neither party had car insurance. There is still the obligation of the negligent driver to compensate your for all of the harms you suffered, including your property damage and injury claims. But as a practical matter, you have the blood from a stone problem: most people without car insurance do not have assets that could pay a judgment. You can threaten them with legal action. It might work. But most likely it will be a challenge. Even if you caused the accident and you are a Maryland driver with insurance coverage, you should be in good shape. 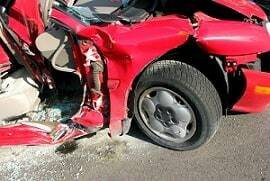 Your insurance company should fix your car if you have collision insurance and also handle the repairs for the other driver. You will be out your deductible and, as you suspected, your insurance rates will probably go higher. 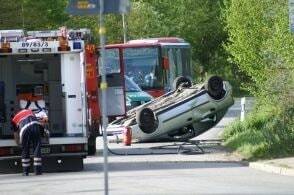 If you did not have car insurance, expect the inverse of what we explained above. The other driver's insurance will most likely pick up the tab for the outstanding repair bills. But that insurer takes over the rights of the victim through an insurance process called subrogation. Do not be surprised if they bang up your credit and eventually sue you if you don't come up with the money that you should have paid. The take home lesson here is clear: every Maryland driver needs to be in a car that has motor vehicle insurance. Our trial lawyers handle Maryland personal injury cases. Do we take property damage cases? Yes, if there is also a personal injury component to it. If you want to learn what options you have, call us at 800-553-8082 or get a free claim evaluation on-line. The battle for a rental car in Maryland car accident cases. Filing your own claim in Maryland. I don't want to report my accident to the police or my insurance company? Can I do that?